Even though we loved the design and the subtle hardware of the OnePlus 2, OnePlus has cut many corners to come down to the Rs 22,999 price tag that it’s asking for. Also now that the #hypetrain has departed, you will notice that you cannot just secure an invite just like that, you still have to earn it. And when these invites and reservation lists run into millions, it does get a bit tiring, especially when a competitor is offering something better at the same price point. As much as we dislike the tried and tested design of the Motorola Moto X Style, we cannot help but notice what it is offering over the OnePlus 2 at around the same price (and this is just going by the specs on paper). The Motorola Moto X Style, offers everything that the OnePlus 2 does not and cannot (minus the Snapdragon 810, but do you really need one?). But come launch day and you will still be able to purchase one online the day it is launched in India. OnePlus is sneakily cutting some corners with its OnePlus 2, meaning that its not exactly a flagship killer like the OnePlus One ... It’s all marketing. So OnePlus this year has settled and here’s a list of the “settles” that we have had a hard time figuring out. Figuring out, as to why they were not included in smartphone that OnePlus calls a “2016 flagship killer”. While many may argue that the differences between a Quad HD display and Full HD screen are minimal, we are with them on that. Moreover, the benefits of a Quad HD display are far and few compared as the per app DPI rarely changes (things will just scale up for a bigger screen rather than displaying more data). The problem here is every other top smartphone brand out there is pushing out one. Samsung has gone with a Quad HD display on an even smaller screen with the Galaxy S6 and the same can be said about the pixel-dense display on the LG G4. The HTC One M9+ has it and even the Motorola Moto X Style has it, and it is going to be priced in the same range as the OnePlus 2. Yes this “2016 flagship killer” does not come with NFC. NFC or Near Field Communications has become a standard today in almost all flagship smartphones. Every other flagship smartphone announced this year has it, including Apple, even though the company uses it only for Apple Pay. Talking about Apple, comes the thought about Apple Pay and how NFC is very useful for making use of that fingerprint scanner for purchases. So we currently have a fingerprint scanner just to unlock your screen. Now one might argue that NFC payments are not big in India, but transferring data from smartphone to smartphone surely gets a lot easier with NFC, unless of course you’re still used to transferring stuff via the good old Bluetooth settings menu. The Moto X Style does pack in NFC even with the wooden back. While opting out of expandable storage is a growing trend among flagship devices, SD cards still offer cheaper storage options for consumers, compared to buying the 128 GB version of the smartphone. Samsung recently took down its 128 GB variant of the Galaxy S6 edge, because it was priced too high and could not compete with the pricing of the iPhone 6, which seems to have dropped quite a bit in India. 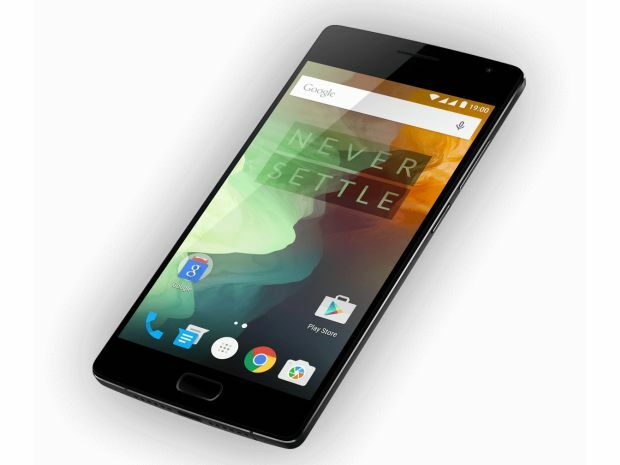 The bottom line is, that the OnePlus 2 lacks it. Even though OnePlus users are used to not having this option, 4K video and recording 1080p videos at 60 fps is becoming a standard. What we mean is that they take up space. Camera sensors are growing and so are the image sizes. OnePlus what were you thinking? While OnePlus 2 owners will be able to brag about owning the first smartphone to support the new type C reversible USB, its not that cool, not yet. This is because it will prevent your beloved smartphone from utilizing Qualcomm’s built it Quick Charge capabilities. In short, that massive 3300 mAh battery will take hours to charge up. Ironically, OnePlus chose to utilize a Qualcomm Snapdragon but attached a USB C type port (just for show) so that users will not be able to utilize the chipset’s built-in capabilities. Why did OnePlus do this? Well, we have no clue. So even though the OnePlus 2 comes at half the price, you will soon realise that this is not the true “flagship killer” because it “settles” for so much. In fact we would have preferred if the OnePlus had Quick Charge instead of the fingerprint scanner or even a expandable storage instead of a Snapdragon 810, but that would mean "settling" for one feature over the other. The Moto X Style on the other hand seems to be built well and has all of the above in place as well. And given that the new Rs 25,000 (approximate) price tag is expected to stick, we think OnePlus just lost the low-cost flagship war already.